A new large-scale study led by researchers at Harvard T.H. Chan School of Public Health suggests a diet high in the fiber found in fruits and vegetables can lower the risk of breast cancer in women. Breast cancer risk was 12%-19% lower for those women who ate adequate fiber during their early 20s. Eating a high level of fiber during adolescence was associated with 24% lower risk of developing breast cancer before menopause. What does this mean? 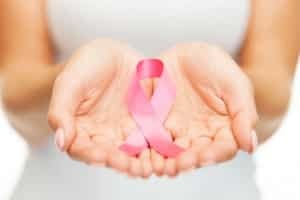 Essentially – estrogen levels in your blood stream impact the development of certain cancers, including breast cancer. Eating fiber lowers the amount of estrogen in the blood by allowing your body to process and eliminate the excess efficiently, leaving you less susceptible to cancer. Estrogen dominance is a primary cause of female reproductive cancers. It is also one of the root causes of PCOS, endometriosis, PMS, cramps, heavy periods, depression, and more. If you have any of these mentioned hormonal imbalance-related health issues, even if it’s just a week of bad PMS symptoms each month, then you are very likely to be at a higher risk of developing breast cancer according to the NIH’s Biocycle Study. Increasing your fiber intake as the research suggests will heal your hormones and reduce this risk. PMS in the form of mood swings, depression, anxiety, and bloating is not and never has been “normal” – it’s actually one of your body’s very loud ways of telling you something is wrong. Eating enough fiber in your teen years can decrease your breast cancer risk by 24%. How we eat throughout our lives has an impact on our risk of disease in the future. Making the right choices now will ensure a smooth transition through perimenopause, menopause and into a healthy, happy old age. This study suggests what young women consume during adolescence is an important factor in their long term health. I would go one step further and say our lifetime health begins to be mapped out while we are still in the womb. I know that soon there will be more research that points to this. Preparing for pregnancy, eating well during pregnancy, and supporting our daughters in establishing good dietary habits will go a long way to helping us roll back the progress of cancers in next generations. As women we are all part of this continuum; more and more research shows that how our mothers ate, and how we eat, will affect our daughters and their daughters. Show your teenager what you do to keep your period healthy and hormones balanced. A 24% lower risk of breast cancer in these times is a big deal. If you have a teen daughter, niece, sister, or goddaughter start teaching them about the importance of nurturing their hormones and living in awareness of their cycles. Many teens are now put on the Pill, which destroys the microbiome, making fiber absorption difficult and hampering the benefits of increased fiber intake (and that’s just one side effect). 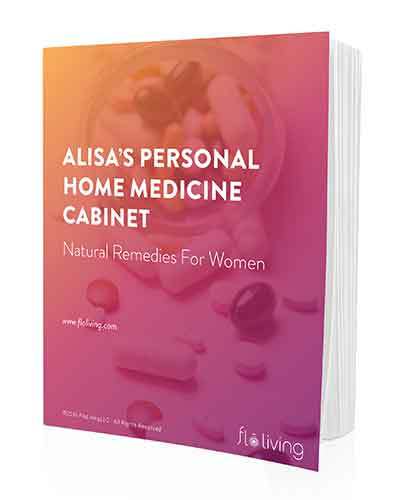 The Flo Living protocol works just as well for curing teenager’s heavy periods, irregular periods or cramps as it does for adult women’s cycle issues. Eliminate all sources of xenoestrogens to further reduce your risk. We all require fiber to successfully eliminate excess estrogen from our blood. We can gain this excess estrogen from many sources – including the syntethic estrogens that can be absorbed through cleaning products, cosmetics, shampoos, and plastics. It takes a conscious effort these days to avoid letting your body build up a toxic level of estrogen. The first step is to not load your body with more estrogen than it needs to begin with. The second is supporting your liver with your food choices so it can work to detoxify your blood. The third is eating fiber so those excess hormones can bind in your large intestine and be eliminated quickly (ie. you do not experience constipation, storing the hormones for longer than is beneficial and increasing your exposure to the risks of estrogen dominance). Fiber works like an internal Swiffer to clear out your large intestine. Aim to include 25 grams of fiber as part of your meals, per day. Which brings me to telling you about the best sources of fiber that you should be eating every day to lower your risk of breast cancer. These 3 foods contain a good amount of fiber as well as the other vital vitamins and minerals – such as glutathione, B vitamins, and C vitamins – you need to help your liver process the excess estrogen so that it can be transported to the large intestine and then eliminated quickly. The research study shows that the best way to get cancer-preventing fiber is through fruits and vegetables, rather than grains and beans (although these are also an important part of a healthy diet). There are other foods with higher levels of fiber per serving, but these 3 are both fiber-rich and liver-supporting and therefore work as a double, or even triple, threat to hormone-related cancers. Pro tip – all of these can be part of a delicious smoothie! Broccoli (approx 5 grams per cup, cooked) – this green also contains the phytochemicals sulphorophanes, indole-3-carbinol and D-glucarate which are critical liver detoxifiers. Flax seeds (approx 4 grams per 2 tablespoons) – a great source of omega-3 fatty acids (which reduce the insulin resistance that can suppress liver function) and lignans (which bind to estrogen receptors and prevent absorption of excess estrogen), as well as fiber. Pears (approx 5 grams per medium fruit) – pears, and apples, contain the flavonoid phloretin which impairs cancel cell growth, along with lots of fiber. First, do you have a family history of breast cancer? Second, do you suffer with PMS or the other estrogen related conditions mentioned? I am 56 and not having any hormonal problems that I am aware of. Being post menopausal what can floliving do for me ??? Can I ask more about the mechanism of flaxseed here- “the richest source of dietary lignans (a class of phytoestrogens)”. If it acts as a phytoestrogen am I incorrect in saying taking this in the luteal phase will icrease exposure to oestrogens, or does it act at receptors in an antagonistic way?